Once you have downsized your life and have time to spare you may well be contemplating owning a pet. Will you be able to afford a pet and its upkeep now that you are on a limited budget? Acquiring a pet can be very expensive. A dog with a good pedigree can cost as much as one thousand pounds. But whether you are given the pet or spend a lot of money on the purchase, its upkeep will be have to be considered carefully for many years to come. It is possible to still purchase some animals from pet shops but in most circumstances it is better to buy from the breeder. Not only will you be able to see the animal with its parents but will get to know the breeder who will be able to advise you on your purchase but will be able to help you in the years that follow. 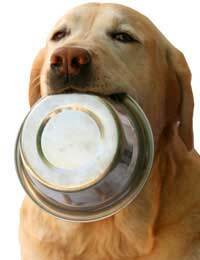 Have you thought how much it will cost to feed your pet each week, can you afford this? It may be that have the funds for a pet at present but what about the years ahead. If you are retiring you will have less money for animals, how will you cope? Food stuffs can vary a lot depending on where you purchase them. Supermarkets own brands can be cheaper than branded goods from pet shops. Shopping in bulk or online from wholesalers and food producers can also be a cost cutter. Consider bulk buying with a group of other pet owners to save money. You must always be able to pay for veterinary care if it is needed. Animal Welfare laws now state that a pet must have access to food, water, exercise and medical care, you could be fined or have your family pet taken away from you if you break these laws. Pet insurance is ideal as it will give you peace of mind if your pet should have an accident or need costly veterinary treatment. Pet insurance can change considerably between different providers. Take a little time to compare different policies; some may be charging for cover you will not require or charge more for those living in certain areas of the country. If you just need basic health cover haggle with the company for a cheaper price. When collecting a pet from a breeder it is customary to be given six weeks free insurance cover by the breeder, this will give you time to look for the best cover for your pet and his future lifestyle. You do not have to purchase a policy from the company giving you the initial cover – they want you to and will no doubt bombard you with telephone calls and literature but do some research, you will be surprised at the choice of cover that is available. These days supermarkets offer all forms of insurance and they are amongst some of the best suppliers of pet insurance. There are ways of being involved with pets without actually having one live in your home. Schemes with zoo and animal parks involve the adoption of an animal; it could be a lion or a penguin or something even more exotic. You will be given details of the pet, a certificate and other information that will be as interesting as owning a pet but without the ongoing expense of pet food and other expenses. A yearly payment is all that is needed and it helps with the upkeep of the animals in the park. When looking to purchase a pet visit animal rescue centres and animal shelters. You will be giving a pet a better life and will not have to pay quite as much money as you would if it had come as a youngster from a breeder. Again, if you cannot have a pet at home these shelter and rescue centres are always looking for people to help out by walking pets and other voluntary work.